With Taylor, the Court signals its commitment to preserving defendants’ procedural rights to seek rehearing, notwithstanding that it so rarely grants rehearing in practice. The Court also offers important practical guidance for appointed counsel with respect to their obligations in petitions for rehearing—an area for which the Court’s CJA Plan does not provide tailored instructions. Like Nnebe, Taylor arose in the context of a motion for post-conviction relief under 28 U.S.C. § 2255: Javel Taylor, the defendant, had timely appealed a conviction and sentence with the assistance of counsel appointed under the Criminal Justice Act. The Court affirmed Taylor’s conviction and sentence by summary order on October 21, 2013, and the mandate issued on November 14, 2013. On January 7, 2014, Taylor moved pro se under § 2255 to vacate his conviction and sentence on the ground that his counsel failed timely to notify him that his appeal had been decided, and thus deprived him of an opportunity to petition for rehearing and rehearing en banc. Taylor alleged that it was not until a month after his appeal had been decided that he learned—not from appointed counsel but rather from a “paralegal service”—of the Court’s decision. The District Court (Gardephe, J. ), assuming for the sake of argument that the Sixth Amendment right to effective assistance of counsel applies to petitions for rehearing and rehearing en banc, denied Taylor’s motion on the ground that Taylor had not established the requisite prejudice. The court pointed out that under Federal Rule of Appellate Procedure 35 “[a]n en banc hearing or rehearing is not favored” and that the Second Circuit in particular “rarely grants en banc review.” Dist. Ct. Op. at 10. The court reasoned that “[g]iven that the . . . panel hearing Taylor’s appeal rejected his arguments in a summary order . . . – indicating that the appeal raised no issues of substance – it is highly unlikely that a petition for rehearing en banc would have been granted.” Id. Indeed, Taylor himself “ha[d] identified no issue that the Second Circuit panel incorrectly decided.” Id. The Second Circuit granted Taylor a certificate of appealability on the question whether Taylor was entitled to relief under Nnebe. On appeal, Taylor (represented by new counsel) argued that the Court should construe his appeal from the District Court’s judgment under § 2255 as a motion to recall the mandate in his direct appeal, vacate its original judgment, and reenter judgment. Such a remedy would restart the clock for filing petitions for rehearing and rehearing en banc, which ordinarily must be filed within 14 days after entry of judgment. First, it concluded that the Criminal Justice Act, which provides that financially eligible defendants “shall be represented . . . through appeal,” 18 U.S.C. § 3006A(c), entitles defendants to representation when seeking rehearing and rehearing en banc. In outlining counsel’s obligations under the Act, the Court took care, however, to make clear that counsel need not always file a petition for rehearing or rehearing en banc when a defendant so requests. The Court explained: “Just as counsel may move to be relieved from filing a frivolous direct appeal . . . , or a frivolous petition for certiorari . 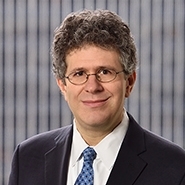 . . , counsel may also move to be relieved from filing a frivolous petition for rehearing or rehearing en banc.” According to the Court, if counsel determines that a petition for rehearing would be frivolous, counsel must (1) inform the client of the opportunity to move pro se, (2) move to withdraw, and (3) move on behalf of the client for an extension of time to file a pro se petition. The Court’s guidance on this front is particularly useful given that the Court’s CJA Plan provides no tailored instructions for CJA counsel with respect to petitions for rehearing. The Court’s guidance is similar to its guidance provided in the CJA Plan with respect to petitions for certiorari. The motion papers are not dissimilar to those filed as part of an Anders submission. Second, the Court concluded that the “unusual remedy” of recalling the mandate is available when CJA counsel fails timely to provide assistance with petitions for rehearing or rehearing en banc. The Court stressed that the remedy “is not to be liberally provided”: it asserted that it would not recall the mandate unless the defendant acted with diligence in seeking relief from counsel’s failings and could substantiate allegations of those failings with adequate proof. But, crucially, it declined to require defendants to establish prejudice to secure relief. This is notable given that, as the District Court pointed out, rehearing is disfavored, particularly in the Second Circuit. The Second Circuit is well-known for only hearing a case en banc every year or two. Third, the Court concluded that Taylor had not yet established that the mandate should be recalled because he had not yet provided evidence that counsel had failed timely to notify him of the Court’s decision. Thus, rather than recalling the mandate, the Court remanded the case to the District Court with instructions to make factual findings as to whether Taylor’s counsel indeed failed timely to notify him of the Court’s decision. The Court also directed the District Court to “receive evidence on whether Taylor’s counsel ever informed him of the opportunity to petition for certiorari or moved to withdraw from the case” and—drawing from its constitutional ineffective assistance cases—to offer Taylor’s original counsel “an opportunity to be heard and to present evidence, in the form of live testimony, affidavits, or briefs” regarding his allegedly deficient representation. The District Court did not take such evidence due to its conclusion that Taylor suffered no prejudice. In Taylor, the Court upholds its long tradition of according procedural rights to defendants even where those rights may be of uncertain benefit to the defendant. See, e.g., United States v. Whitley, 503 F.3d 74 (2d Cir. 2007) (denying Anders motions filed where defendant received a sentence within the Guidelines range because the motions did not discuss the reasonableness of the sentence imposed). Nnebe is the example most directly on point here. One might ask what purpose Nnebe serves; how often are petitions for certiorari granted after the Second Circuit issues a summary order? There are two answers to this rhetorical question. One is that, in fact, a certiorari grant from a summary disposition does happen from time to time. See, e.g., United States v. Luis, 564 F. App’x 493 (11th Cir. May 1, 2014), vacated, 136 S. Ct. 1083 (2016). But more importantly, the Court wants to honor the defendant’s right to file a motion for rehearing, however unlikely its odds of success may be. This procedural formality may take some extra time of all concerned (including CJA counsel) but it ensures both fairness and the appearance of fairness. The procedural complexity of the this case is necessary in order to accord Taylor his right to file a rehearing petition, if in fact he was not told about the decision by his attorney. Finally, CJA counsel must act quickly to notify incarcerated defendants immediately upon a decision by the court. If counsel believes that no non-frivolous motion for rehearing and/or certiorari exists, he or she should move to withdraw—and, with respect to the motion for rehearing, move for an extension of time—in order to permit the defendant to file such motions pro se and during the requisite time period.